This book of "Deming One-Liners" is a handy reference book of memorable quotes from W. Edwards Deming. 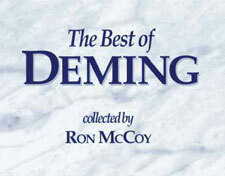 Readers always enjoy the unforgettable Deming humor, and they gain insight into his philosophy. This book makes a great little gift.